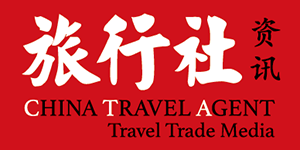 CCBTF is a choice platform that sets the pace for China’s conference and business travel sector. It is an efcient and effective platform for business talks in the meetings and business travel industry, a one-stop solution for businesses looking for opportunities to seek brand awareness, display products and services and get in touch with the right people. Over the past six years, the new CCBTF has evolved into a brand that will spearhead the innovative development of the industry in the coming years down the road. • You can meet 200 top buyers, laying your hands on opportunities to develop your business and explore new markets. • You can make online reservation for business talks. Our specialized“ matchmaking” system can help you get to know the right potential clients and cut business deals. • You can have a wide range of opportunities to benefit from the training sessions, get inspired by TED speeches and socialize so as to keep yourself up to speed on the latest industry developments and expand your circle of friends. • You can take good advantage of CCBTF platform for making and promotion to publicize your products and services and generate more publicity for your brand.